a list of all the varieties we grow. Click on the variety name to find out more about it. This variety was introduced in 1870. A cross between a Fameuse and a Detroit Red. White, tender, crisp flesh. Highly aromatic. A good sauce apple. Many people use Mac’s in pies as well, although the apple loses its shape when cooked. Ripens around September 15th. *Source: Yepsen, R. 1994. Apples. New York: W.W. Norton and Company, Inc.
A cross between MacIntosh and Ben Davis. Larger and juicier than a Mac. Tart and tangy with white flesh. Considered to be a good eating apple and a very good cooking apple. Flesh does not turn brown quickly when cut which makes Cortland a good choice for fruit salads. Ripens around September 25th. A cross between a MacIntosh and a Red Delicious. Crisp and juicy. A nice mix of sweetness and tartness. An excellent eating apple that stores well. Can be used for cooking as well. Ripens around the October 5th. A cross between a MacIntosh and a Jersey Black. Firm, aromatic and juicy. A good eating and pie apple. Ripens around September 30th. A scab-free variety that is similar to Liberty. A Macoun, Antonovka, NY48821-46 cross. Bright red fruit. Acceptable for eating, cider and cooking. Ripens around October 5th. Like many scab-free varieties, Liberty has crab apple in it’s parentage. The final cross that produced the Liberty was between a Macoun and an unnamed experimental variety. Crisp, juicy and flavorful. An excellent eating apple that make a colorful, grapefruit colored sauce. Gets extremely sweet in storage. Ripens around the 1th of October. A scab-free variety with MacIntosh parentage. Not nearly as good as MacIntosh. Ripens around September 15th. A scab-free variety. Excellent tasting when eaten fresh, and when pick when ripe. Excellent for cooking. Becomes quite sweet in storage. Ripens around October 10th. A scab-free variety, although highly susceptible to cedar apple rust. Firm, yellowish-white aromatic, and mildly sub-acid. Become quite sweet in storage. Ripens around September 10th. A scab-free variety with a complicated parentage which includes Raritan, Rome, Jonathan, Melba, and Wealthy. A small, early ripening apple (usually ripens at the end of August). Dark red skin, with firm, sub-acid flesh. A scab-free variety that ripens early (around August 25th). Large fruit, limited shelf life. Good tasting. Suitable for baking. An antique variety that ripens towards the end of August. Pale yellow skin, with yellow, tender flesh. A good eating apple when ripe. Considered an excellent baking and pie apple. Keeps for only a few weeks. An older variety. Tender and juicy. Has a cidery, spicy flavor. Does not store well. Also known as the “snow apple”. Ripens around September 20th. An antique variety that is especially good for cider. Crisp, fine-textured flesh. Stores well, especially when humidity is kept high. Ripens mid to late October. Rome originated from a sprout that developed from below a graft in the 1820’s. Used mostly in baking and cider. Has a thick skin. Flesh is crisp, firm and mildly tart. Rome stores well. An antique variety. Medium-sized yellow-skinned. Flesh is white, very sweet and hard. A good eating apple and an excellent sauce apple because of its sweetness. Ripens around October 5th. Developed in New Zealand, this apple is a cross between a Golden Delicious and and a Kidd’s Orange Red. An excellent eating apple. Fair for baking. Flavor is mild and sweet. Gala’s keep very well, especially when refrigerated. Ripens around September 20th. A cross between a Jonathan and Wagener. Somewhat tart. Flesh is crisp and fine-grained. A good cooking apple as it keeps it shape well when cooked. Produces a colorful sauce when cooked as well. Ripens around October 15th. A cross between a Jonathan and Golden Delicious. The biggest selling apple in Europe and Japan. An excellent eating apple with a sweet-tart flavor. Crisp, creamy-yellow flesh. A good pie apple, and considered a fair apple for sauce. Ripens around October 8th. An early apple usually ripening around August 25th. Similar in shape and size to a MacIntosh. Firm yellowish-white flesh. Pleasant sweet, sub-acid flavor. A good pie and sauce apple. A large, late ripening apple. Known for its superior storage qualities. An excellent eating apple. Keeps its shape when cooked. Yellowish, white flesh is juicy with a sweet-tart flavor. Ripens around October 20th. Similar to Cortland but ripens earlier, around September 15th. Used mostly for cooking, although can be a good eating apple if allowed to ripen longer on the tree. A hard, green skinned apple, with a tart flavor. Keeps its shape when cooked. Ripens around September 25th. 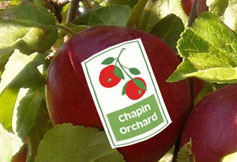 An apple variety that is taking Vermont and the rest of the Northern United States by storm. 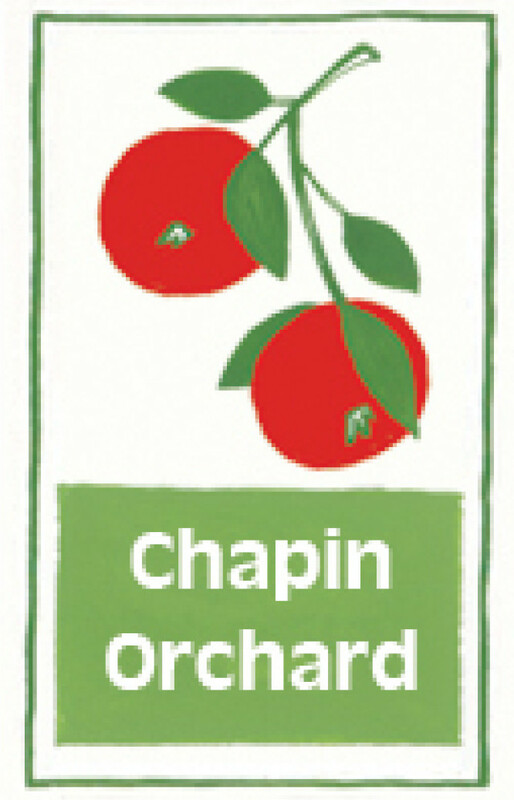 Surely to become one of the most popular apples ever produced in the NO\ortheast. Honeycrisp was developed in the 1960s and introduced to the market in the 1990s . The flavor is sweet with very little trace of acidity. Honeycrisp fruit is characterized by an exceptionally crisp and juicy texture. Its flesh is cream colored and coarse. The flavor is sub-acid and ranges from mild and well-balanced to strongly aromatic. If you haven’t already, give this one a try.